A perfect blend of wit, comedy, suspense, and, of course, romance. This is NOT your typical romance novel. Sarah Howard’s first year at the university is everything and nothing she expected — especially when a very cute boy named Ben in her Art History class starts to show interest in her. Yes, this is a girl-meets-boy story, but the boy is totally hot while the girl is, at best, average. (Except for my wild, Medusa-curls. Ugh.) And yes, there is a misunderstanding, and a villainous outlaw, and a timely confession of love . . . well, okay, fine. It's totally a romance novel. But please note, there is no scantily-clad woman on the cover wilting into the arms of a muscular pirate; I'm not that kind of girl. I'm a normal, everyday girl. And I can't understand why Ben — who is hot as a Greek god — wants to be my friend. Is it because we both play the guitar? Like the same flavors of ice cream? Laugh at the same jokes? Or does he want to hang around strictly so I'll help him with his homework? I hope not because I've been there, done that, and gotten burned. Not interested, thanks. But I am interested in Ben. He's a real gentleman — a true romance novel here. (It's like Mr. Darcy signed up for my art history class.) Is it possible that this is the real thing? Or have my ridiculous, romantic obsessions gotten the best of me — again? Sarah Hastings is a love struck mess, fantasizing constantly of romance, heroines, prince charmings and happy endings; the problem is, she never plays the leading part in her fantasies. A new college freshman finally free from her parents, Sarah is an intelligent young woman with a mess of curls proclaiming to be down to earth and witty. She has always been her own worst critique since the Jesse Chandler incident in high school. But this is all about to change when she meets Ben, handsome, Adonis, god like Ben. Sarah's inept ability to keep her lines of communication straight and follow her heart after being hurt almost keeps her from her own romance tale blossoming. 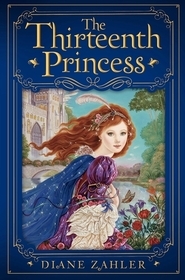 Because Wilhite is witty, quirky, and ambivalent in this quick read about romance and a girls desire to find her Prince Charming. It's easy to see that we all deserve happiness and Wilhite makes that clear. A fan of romance novels myself, this was a refreshing turn of events as the main character battles against herself trying to figure everything out. The author keeps the reader hooked wanting more leaving me Wishing there was a sequel to read more about Sarah Hastings and her ridiculous romantic obsessions. My Ridiculous Romantic Obsessions is a fun light-hearted, completely clean YA read. I found myself laughing out loud and smiling through most of the story. Sarah is a college freshman dropped off by her completely self-absorbed neglectful parents to an apartment for her first experience living away from home. Roommate one is missing a face because it is constantly stuck to her boyfriend and roommate two does not talk. Good thing there's her art history class...the reason she came to school in the first place. Best friend Chel forwarded her phone pics of the perfect TA last year and Sarah is convinced he could surely be her story book hero. So when Ben, aka Adonis, starts to show interest Sarah is confused. Surely things couldn't be as they seem. Is he or isn't he flirting? The main heroine has flawed self-esteem and can't seen to see what is right in front of her face, which I found funny up until the very last chapters, then it got to be a bit much. She is described as smart, but sometimes I wondered. I love that Sarah is not a picture perfect Barbie doll type. She has curves, out of control curls and a quirky personality. Ben, the main male isn't perfect either, but he IS kind and genuine. I have to give him kudos for his honesty and for walking away when his affections and efforts weren't reciprocated. He is sincere and down to earth. I found myself pulling for him. Becca Wilhite kept me thoroughly entertained and her books are titles I will gladly pass on to my daughters. this book is one in a million. bit corny at times, blurb isnt as good as the book. this book has inspired me to reach higher and what to look for in guys. 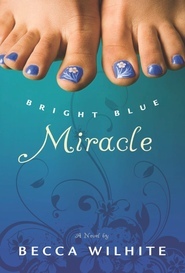 Becca Wilhite, author of Bright Blue Miracle, has surpassed herself with this new tale of romance, comedy, and heartbreak. As I read I found myself relating to the main character in a very real way. I was giddy when things were going well, concerned when they weren't, and at one point even had myself a good cry. Wilhite creates such realistic characters that one cannot help but be drawn in. They live, they breathe, they feel! Watching Sarah grow throughout the story was one of the greatest delights for me. At times I wanted to shake some sense into her, but that made the ending all the sweeter. I highly recommend this book. Becca Wilhite is a master of characterization! A hillarious and romantic story! I was determined to hate this book--it is written in the present tense which is one of my biggest pet peeves. I am SO glad I pressed on, however, because I have not laughed out loud so often with a book in a long time, if ever! I can relate so well to Sarah and her romantic obsessions. This book had so many fantastic scenes that kept me smiling! The expected misunderstanding causes some groaning, but it ends wonderfully and happily ever after! Totally recommended!